This award will be given to a junior investigator (Assistant Professor/Instructor or equivalent) who has been first author on an important or interesting peer-reviewed geriatrics research article within the past year. This award is targeted to junior investigators who are in the career development stage of their research career. The junior investigator must be first author on an outstanding peer-reviewed geriatrics research journal article. 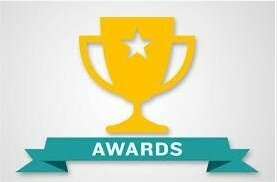 Selection of award winners will be based on the novelty of the work presented; methodological rigor; clarity of presentation; and potential to influence geriatric practice, policy, or future research. Papers that were published between September 1 and August 31 of the year preceding the award presentation are eligible. Applications will be reviewed and the awardee selected by the Research Committee of the AGS. To recognize this outstanding achievement, the awardee will receive a letter documenting the award and a framed certificate will be presented during the Awards Ceremony at the AGS Annual Scientific Meeting.